Dishwashers, ovens, microwaves, and other appliances were created to make life easier. They help us save time on chores so that we can focus on other, more important tasks. However, when an appliance stops working, it can feel like your whole routine comes to a halt. Don’t let a broken fridge make you lose your cool! Contact the skilled Johns Creek appliance repair experts at Mr. Appliance of Alpharetta for help. We offer fast, comprehensive services to help you get on with your day. Call (678) 721-8555 to learn why Johns Creek trusts our appliance technicians to handle any repairs or maintenance! Why Choose Our Appliance Repair Experts? For over 20 years, Mr. Appliance has been the trusted name in appliance repair, installation, and maintenance. We have continuously train and educate our technicians in the latest appliances and repair services to always anticipate all of our customers’ needs. You receive a one-year service guarantee. Clean workspace before and after a service. Professional, qualified technicians who care. Upfront, honest pricing and estimates. Flexible and convenient appointment times. Phone calls returned on the same day. Based out of Alpharetta, we serve many cities including Johns Creek, Roswell, and surrounding areas. 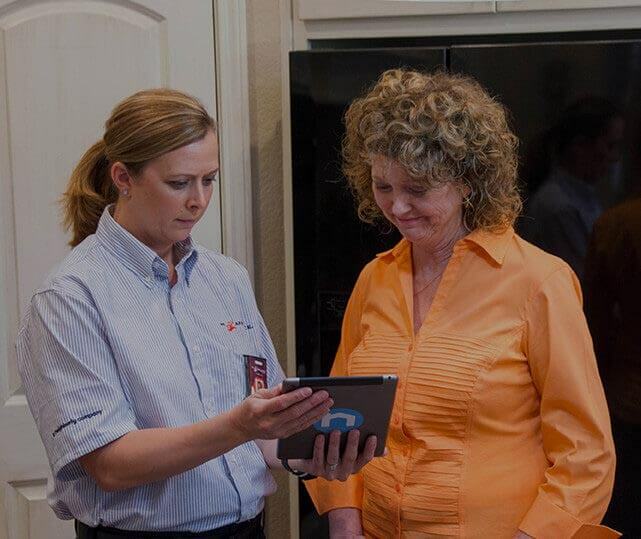 Our skilled technicians have years of experience and an in-depth understanding of how appliances operate. We work quickly and efficiently to help get your appliances in working condition again. As a locally owned and operated company, we take the time to familiarize ourselves with the community. We care more about building relationship than making a profit. We want to be your appliance repair company for all the years to come. Get in touch with us if you’d like to know more. Call (678) 721-8555 to schedule your next appliance repair service in Johns Creek!